President Trump is known for his tough talk on terrorism, having gone as far as threatening family members of suspected terrorists. But his administration has numerous ties to a group that was until recently on the State Department terror list, federal documents show. 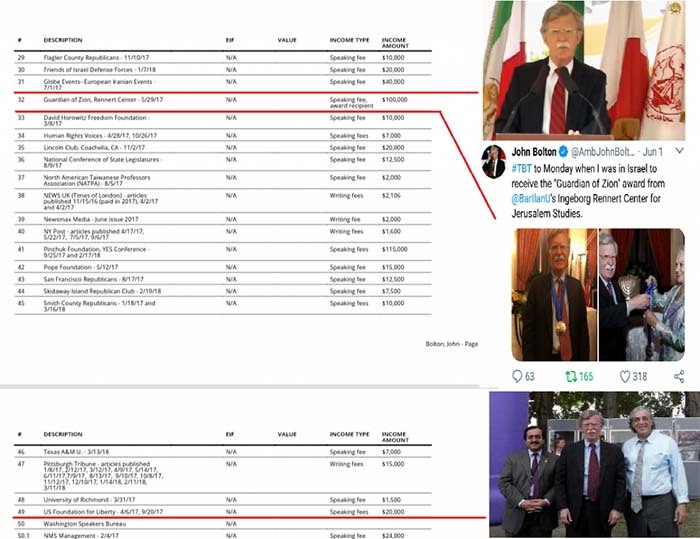 TYT previously reported that the group, People’s Mujahedin of Iran, also known as the MEK, the acronym for its Persian name, conducted a combined total of at least five meetings in 2017 and 2018 with John Bolton prior to his appointment as Trump’s national security adviser and with Rudy Giuliani, Trump’s personal lawyer. 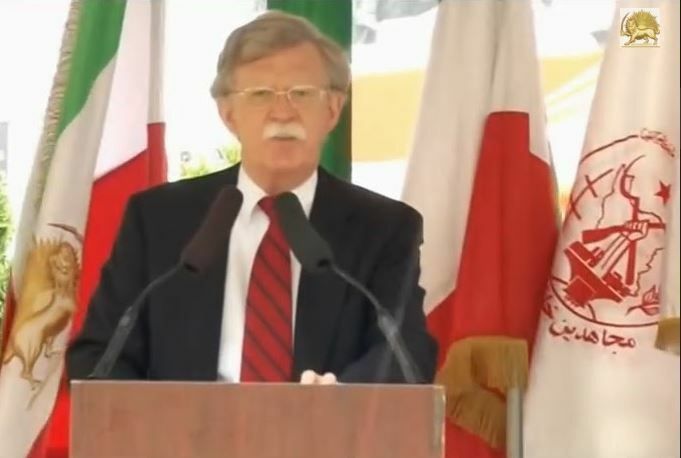 Bolton was a vocal advocate for resuming sanctions against Iran, which Trump did shortly after Bolton’s arrival. 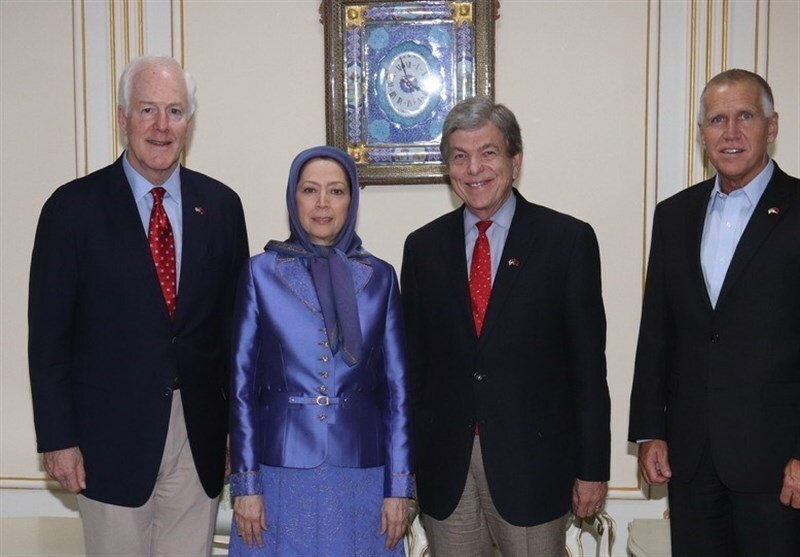 The MEK is an Iranian exile group that fled Iran following the 1979 revolution and has since opposed Tehran, at times violently, and at times with backing from American politicians of both parties. 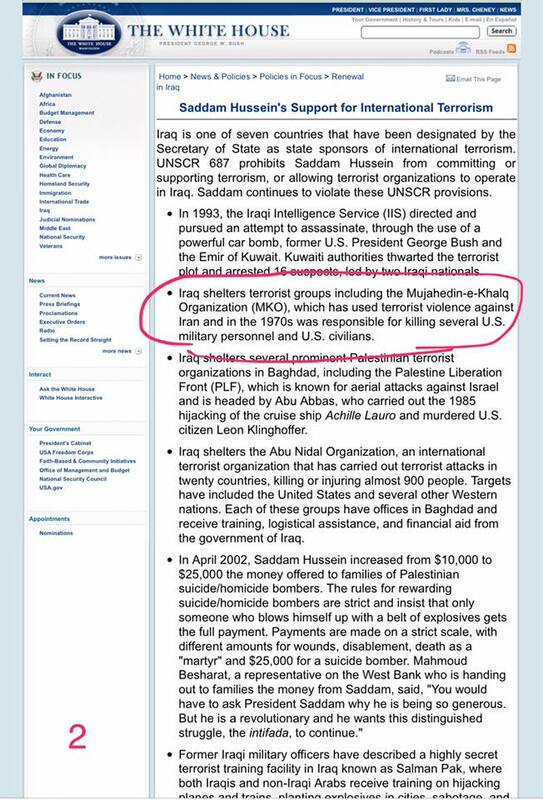 Until 2012, it was designated by the US State Department as a terrorist organization. Disclosure forms filed by the MEK with the Justice Department show that its connections to Trump’s circle go well beyond Bolton and Giuliani. The group has had previously unreported dealings in the last two years with at least four high-profile foreign-policy figures whose connections to Trump include a lead role in his transition and advising him on Iran policy. 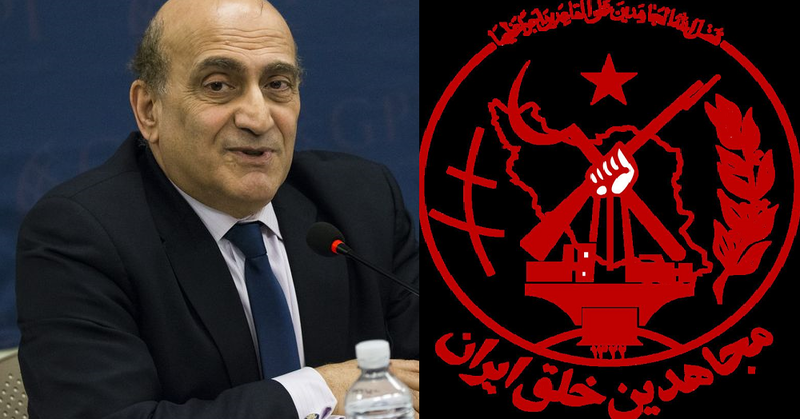 Phares’s fiery rhetoric about Islamism doesn’t appear to apply to the MEK, itself an overtly Islamist group. Though the documents do not make clear what exactly was discussed, Phares, like the MEK, has called for US-backed regime change in Iran. Kenneth Blackwell, who oversaw domestic issues for the Trump transition team and later served on Trump’s voter fraud committee, met with the MEK on October 3, 2017, one document shows, “to discuss the United Nations resolution censuring human rights abuses in Iran.” At the time of the meeting, Blackwell was still on Trump’s voter fraud committee, which was active between May 11, 2017, and January 3, 2018. 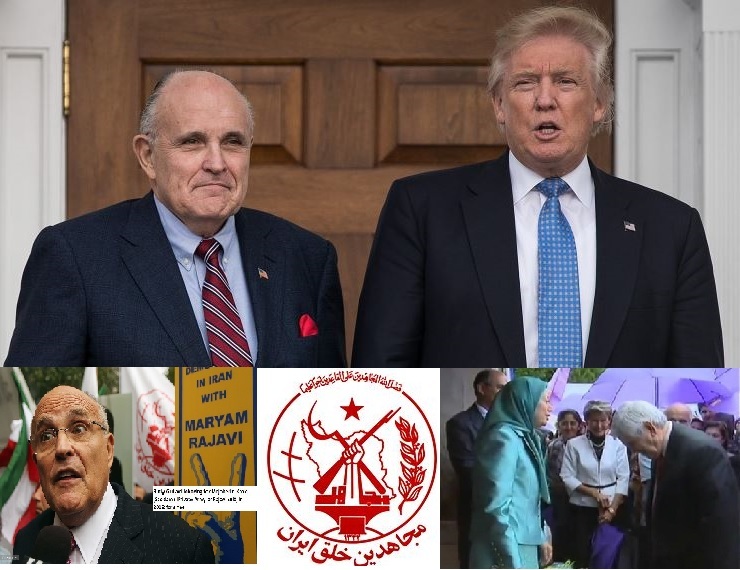 Another person who met with the MEK is former Bush Attorney General Michael Mukasey, a longtime law partner of Giuliani. Mukasey’s son, Marc Mukasey, was reportedly on Trump’s shortlist to replace Manhattan US Attorney Preet Bharara. Both Marc and Michael Mukasey served on Giuliani’s campaign advisory committees. Then there’s Michael Ledeen, a scandal-plagued figure who co-wrote a book about radical Islam with Michael Flynn just prior to Flynn’s brief stint as Trump’s national security adviser. Ledeen has figured in some of the most notorious foreign-policy incidents in modern American history, including the Iran-Contra scandal under Reagan and false intelligence about yellowcake uranium in the run-up to the Iraq War. In the debate prior to the Iraq invasion, Ledeen wrote, “One can only hope that we turn the [Mid-East] region into a cauldron, and faster, please. 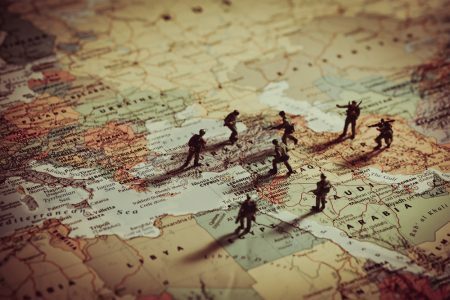 If ever there were a region that richly deserved being cauldronized, it is the Middle East today.” More recently, Ledeen has said that Iran supports Al-Qaeda. 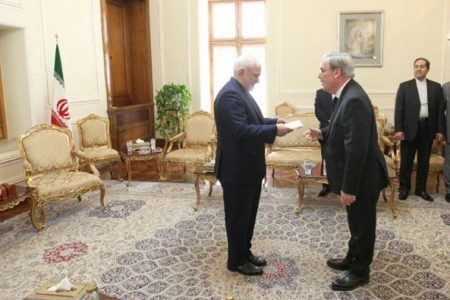 The documents were filed officially by a France-based group, the National Council of Resistance of Iran, widely understood as a MEK front organization. 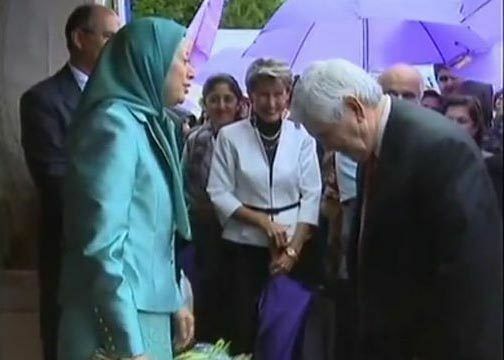 Despite its support among both Republicans and Democrats, the MEK remains controversial. 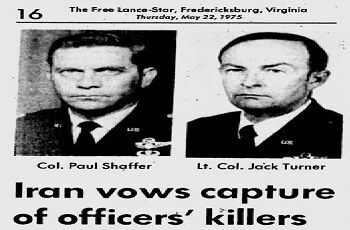 In the 40-plus years since its creation, the MEK allegedly has killed several American servicemembers and contractors, attempted to assassinate a top U.S. general, and tried to kidnap the U.S. Ambassador to Iran, Douglas MacArthur II. The Clinton State Department removed the group from its terror list in 2012 following an intense lobbying push, including by Giuliani. 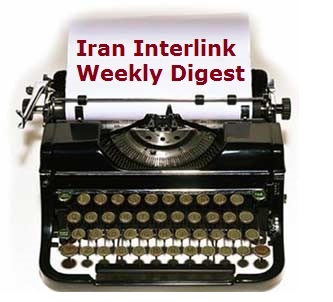 In recent years, Iran hawks have warmed to the MEK, which has long called for regime change in Iran. Notwithstanding the group’s support in Washington, human rights groups remain skeptical. 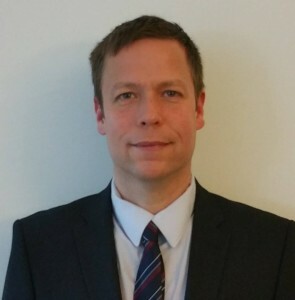 “In most of these cases, the MEK sought to punish with physical and psychological abuse individuals who wanted to leave the organization,” Whitson said. 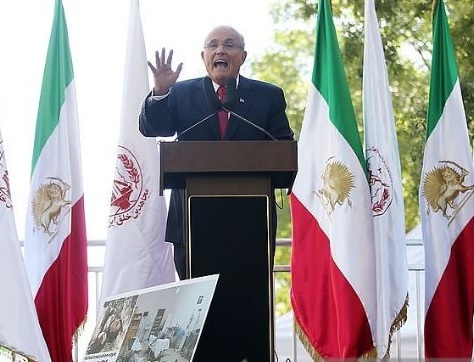 Rudy Giuliani speaks during a memorial in NYC on September 24, 2013, for members of Iranian dissident group Mujahedeen-e-Khalq (MEK). 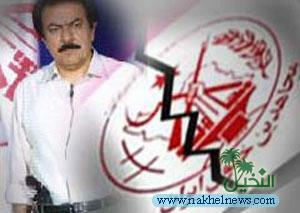 MEK says that 52 of its members were killed on September 1, 2013, in Iraq. Current National Security Advisor John Bolton also spoke at the event. Photo by Mario Tama/Getty Images. 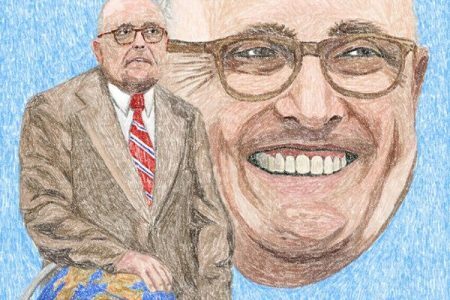 Rudy Giuliani, President Trump’s personal lawyer, and John Bolton, Trump’s National Security Advisor, met with the group five separate times since Trump’s inauguration, according to Justice Department documentsreviewedby TYT. 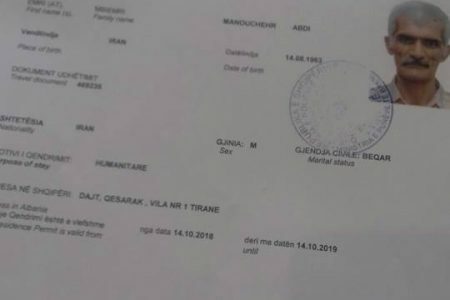 The documents were submitted to the Justice Department by the National Council of Resistance of Iran (NCRI)—MEK’s political wing—under the Foreign Agents Registration Act, between July 20, 2017 and June 27, 2018. 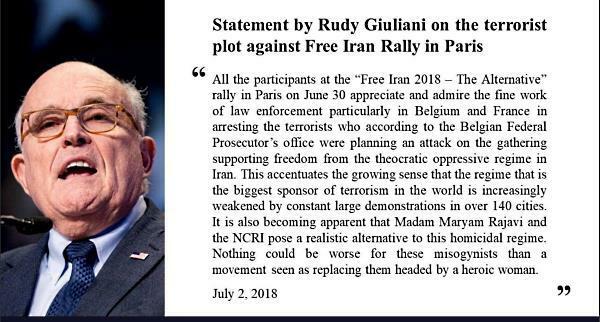 Last Saturday, June 30, 2018, Mayor Rudy Giuliani and a number of high-ranking dignitaries, including generals from countries in the Middle East, Europe and North America participated in a propaganda event in Paris, hosted by NCRI (The National Council of Resistance of Iran or People’s Mujahedin of Iran (MEK), an Islamic Marxist group to support the NCRI’s standing as government in exile. Giuliani was joined by former U.S. House Speaker (an informal Trump adviser) Newt Gingrich, former FBI Director Louis Freeh, former U.S: Ambassador to the United Nations Bill Richardson, former Canadian Prime Minister Stephen Harper, two former French foreign ministers and five members of the British Parliament. 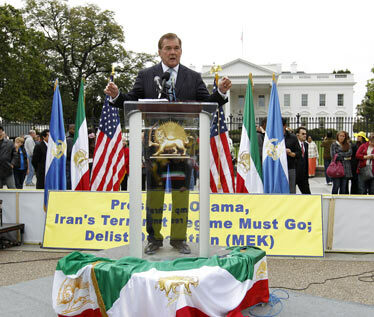 This is not the first-time U.S. officials have attended MEK events. 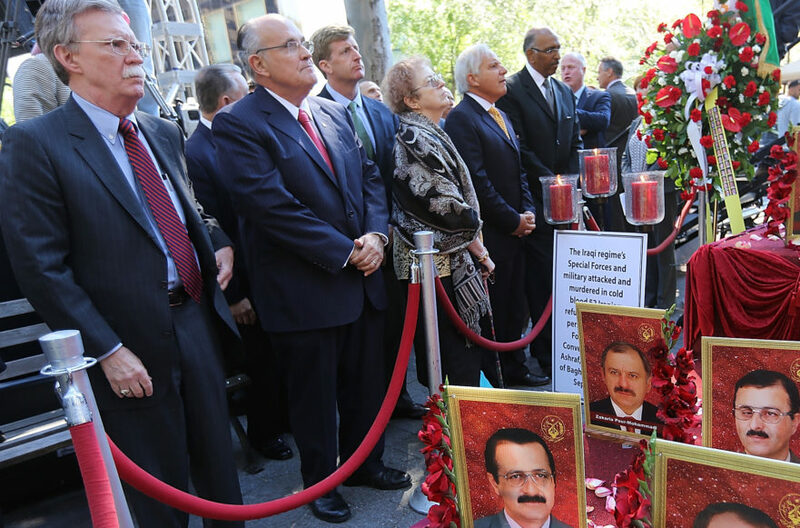 Despite the fact that Mujahedin-e Khalq (MEK) had been formally designated for 15 years by the US State Department as a “foreign terrorist organization.” Giuliani, along with Trump’s National Security Adviser John Bolton and former Obama administration National Security Adviser James Jones, have been known to appear in MEK events for years.The MEK was instrumental in the success of the Islamic revolution and in particular, installing the Ayatollah Khomeini. This group has plenty of American blood on its hands, as well as that of thousands of Iranians killed while the group was a strike force serving Saddam Hussein in the 1980s and ’90s. In Giuliani’s case in particular, the deception is rather striking. “America’s mayor” has shown himself as a crusader in the fight against “Islamic terrorism” Yet he appears to feel that feasting at the table of Islamo-Marxist terrorists who have assassinated Americans is in no way inappropriate. 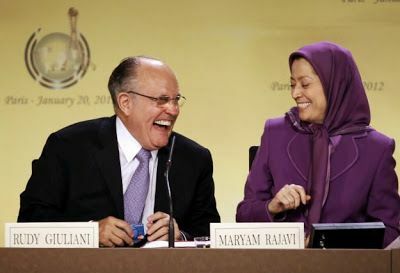 Outrageously, Giuliani said the current ruling system in Iran “must be replaced by a democratic government which Madam Rajavi represents”. This is like saying Adolf Hitler’s regime should be replaced by Joseph Stalin. 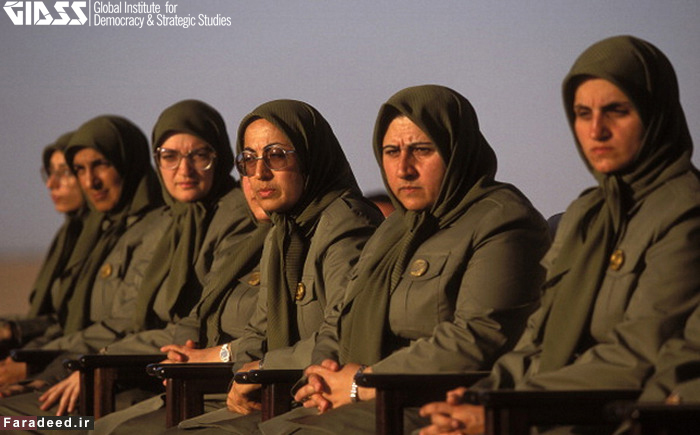 MEK history stretches back to the 1960s, when it was founded by a group of Iranian (so called) students who opposed the shah and espoused an ideology that mixed Shiism—particularly the cult of martyrdom—and Marxism. Along with the group’s anti-regime sentiment came a hefty dose of anti-imperialism and hatred of the United States and Israel. Some of its members trained in PLO camps in Lebanon and Jordan. 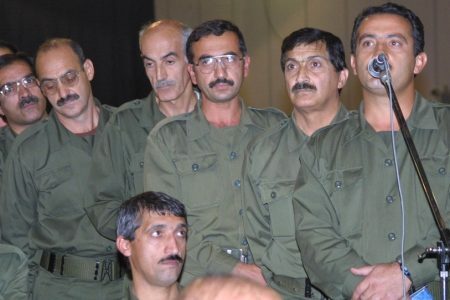 According to Human Rights Watch who interviewed several former MEK members, the organization is a cult that has kept its members virtually imprisoned in a compound in Iraq and controlled them psychologically. They eliminated anyone who expressed their intent to leave. 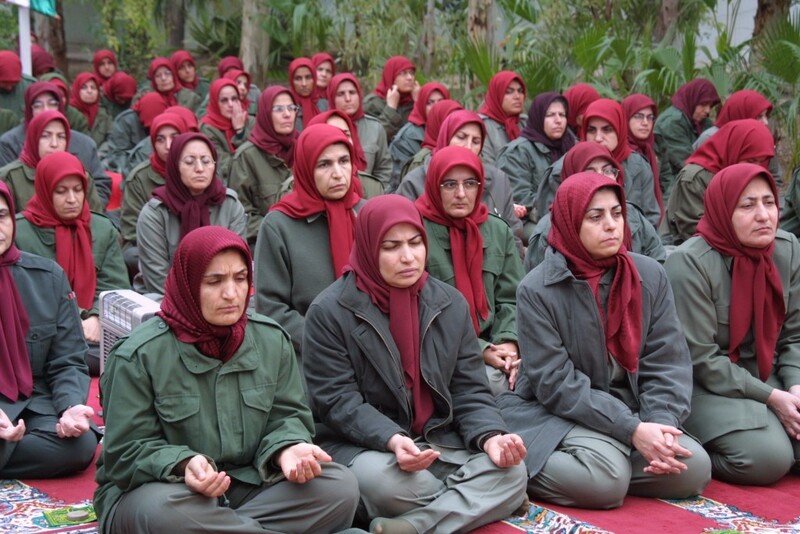 A RAND report commissioned by the US DOD found that the MEK is a cult that utilizes mind control and practices mandatory divorce, celibacy, authoritarian control, forced labor, sleep deprivation, physical abuse and confiscation of assets. 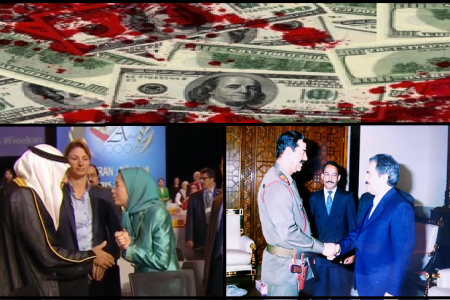 Most Iranians inside Iran believe that if Rajavi is given the chance to return to Iran, the MEK would become the Pol Pot of Iran. The expatriate Iranians in the U.S. are indeed diverse. 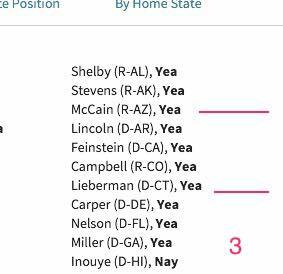 A great majority support a democratic republican form of government. Some support a constitutional monarchy. A very small minority are of the communist-extreme left persuasion. And a few belong to the Islamist-Marxist gang of the People’s Mujahidin. This latter group has about zero support among Iranians, both in Iran as well as abroad. 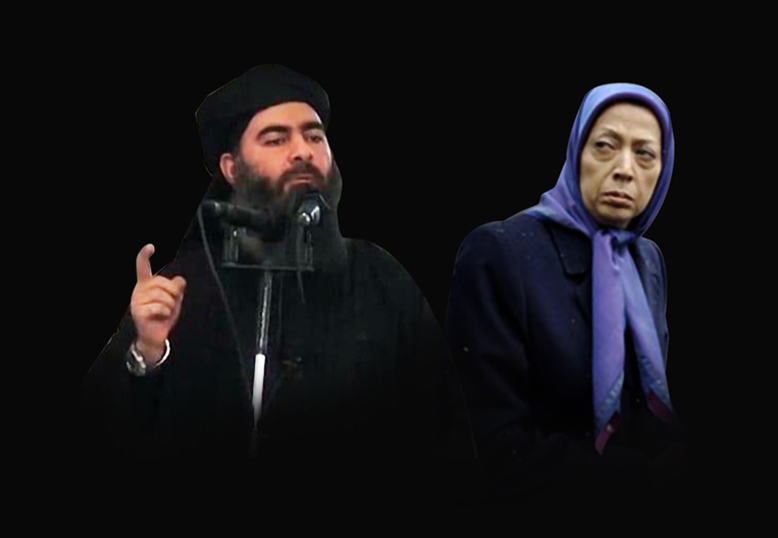 They are thoroughly despised by the overwhelming majority of the people for being cultists, Islamists and at the same time traitors for being in league with Saddam Hussein against Iran during the past Iran-Iraq war. 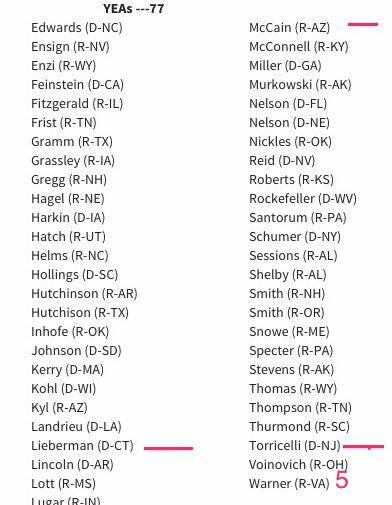 Assuming that money is not a factor, why would such prominent Americans support once an officially designated Iranian terrorist group? 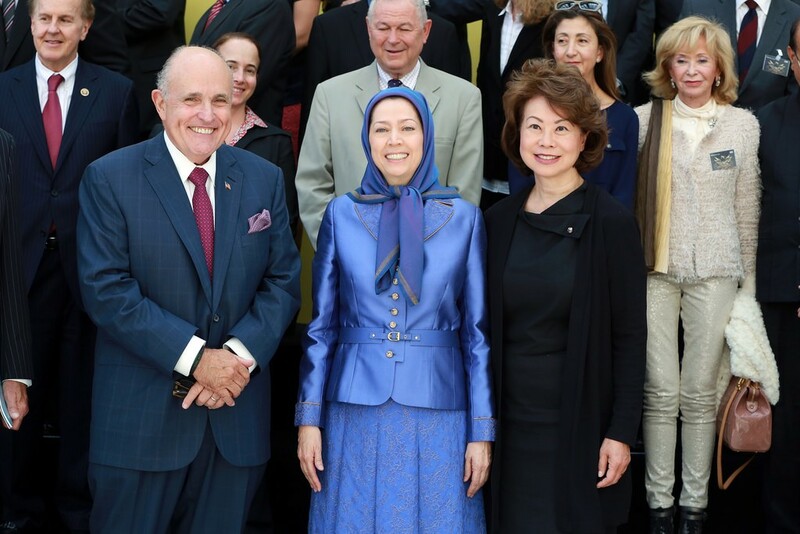 It’s a straightforward, enemy-of-my-enemy proposition: the MEK opposes the theocratic government in Tehran, and so do we. But, the enemy of my enemy is still not my friend. If we are going to support an overthrow of the Iranian Islamic Republic, we have to pick the right partners who will lead to a secular democracy in Iran. Not this group. This would be worse than the instalment of the Ayatollah Khomeini by former President Jimmy Carter. And not to mention, who has given Mr. Giuliani and others the right to impose a terrorist group on the Iranian people after 40 years of compulsory Sharia Law? Haven’t we learned the lessons of history? 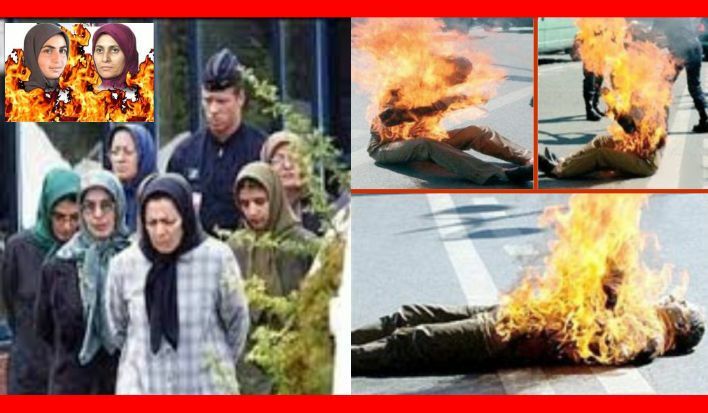 Iranians who are living under the Islamic regime in Iran, truly despise the MEK. Even more so than the current Islamic regime. They are asking for a referendum on the theocratic ruling system in the Islamic Republic. The best option to dislodge the mullahs is to support the Iranian people. We have invaluable allies on the ground in Iran. There are some 50 million Iranians who are the best hope of the world in that part of the world. These enlightened Iranians despise both the Mullahs and the MEK while having no animosity toward Israel or the United States. Most of these people are well-educated, smart and have broken away from the slavery and fraud of Islamism. They are in the best position to send the Mullahs packing for good. Instead of throwing a lifeline to the sinking ship of the Mullacracy, or supporting terrorist groups, we must act resolutely in doing everything non-violent to help them defeat the Mullahs. It is our best bet. 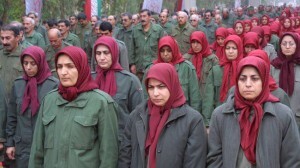 The People’s Mujahedin Organization of Iran (MKO, MEK) is one of the Iranian political-military groups formed, in the mid-1960s, with the purpose of armed struggles against the Pahlavi regime. At that time, the organization was a political, radical Islamist group with a military structure. Continuing its activities, the organization moved further away from the Islamic approach in 1978 and turned closer to Marxist trends instead. The abovementioned period, as well as the ideological gap within the organization, led many imprisoned members of the organization to split up. In addition, religious movements such as Islamic Coalition (Mo’talefeh-e Islami) and the clerics affected by Ayatollah Khomeini also stopped their support. The Islamic Revolution in 1979 was a turning point for the organization, but the honeymoon did not last long since the MKO had taken the other way. After the Islamic Revolution in 1979, the Mujahedin Organization of Iran considered itself the main pole and axis of the revolution. They believed that the ruling revolutionary forces were not able to lead the anti-imperialist struggle; therefore, people should only follow the MKO. Accordingly, based on occurring incidents and consecutive crises in the revolution, MKO insisted on continuing its monopoly jurisdiction, questioning other political currents while declaring its loyalty to Ayatollah Khomeini. As an example of their various reactions toward the genuine stream of the Revolution, we can mention their non-returning of the weapons seized from bases during the revolution. They then started to set up an armed underground network, apparently to protect themselves; then training for guerrilla warfare in their safe houses was placed on their agenda. Some of the most important attempts of the MKO’s opposition to the regime were their support for separatist revolts in Kurdistan, Turkmen Sahra and Gonbad, army disbandment plan, breach of the peace in the Assembly of Experts’ elections, and their non-participation in the constitutional referendum. In spite of participating in the referendum in 1979, and voting in favor of the Islamic Republic, MKO did not attend the referendum on Islamic Law and denied it. However, they did not accept the Islamic Republic’s constitution; they were determined to attend the first presidential election. Masoud Rajavi was nominated as a presidential candidate. 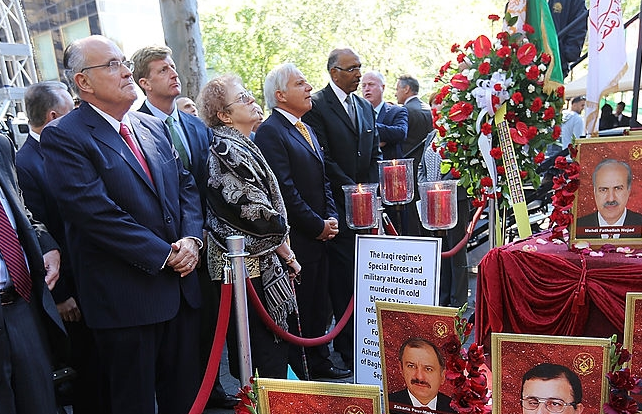 The announcement of Rajavi’s nomination was confronted with opposition from various individuals and groups. Eventually, Ayatollah Khomeini, with a clear mandate, banned candidates who did not enact the referendum on the constitution. This was an explicit pretext, or order, for the newly established military institutions of the Islamic Revolution, such as the Revolutionary Guards and the Islamic Revolutionary Committees, to suppress the gatherings and meetings of the Mujahedin Organization. 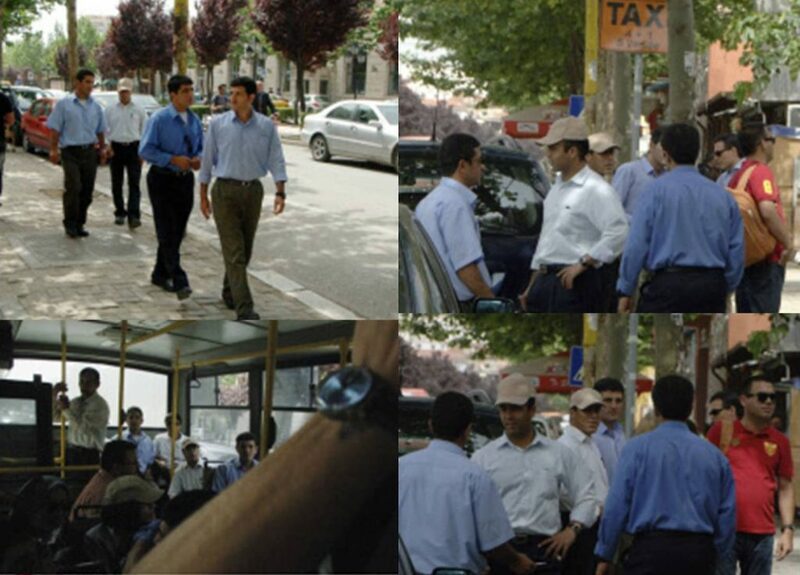 Although the Mujahedin was suppressed and did not allow the taking part in the presidential elections, they were allowed to attend the elections for the first parliamentary term. In that election, none of their dozens of candidates, including Rajavi, was selected. It is still unclear whether the Islamic Republic of Iran and its security institutions planned an engineering vote for the failure of the Mujahedin organization to enter the parliament, or if the society was strongly influenced by Ayatollah Khomeini not to vote for the candidates of the organization. But whatever was the cause, these two failures created another ground for victimization for their long-term organized disturbances in public and the terrorist activities of the organization. Eventually, in June 1981, Mujahedin and their loyal members raided the streets with all their military forces. 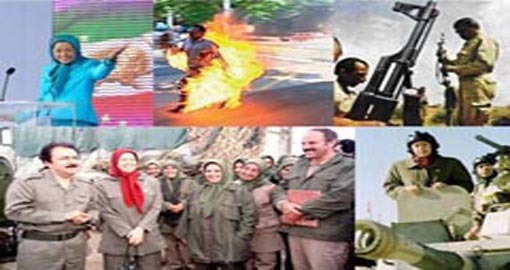 Since June 19, 1981, to the summer of 1982, MKO made every effort to overthrow the Islamic Republic’s regime through military actions, and assassinating the authorities of the regime; a set of actions that caused the heaviest damage to the Iranian government. Some of the most striking impacts of these actions were: “bringing a failure for the regime’s future” (eliminating the heirs of the revolution for the future of the Islamic regime), “breaching of the peace, security and the political stability of the country”, “stablishing the MKO’s military situation”, and “introducing themselves as the alternative for the Islamic Republic of Iran”. 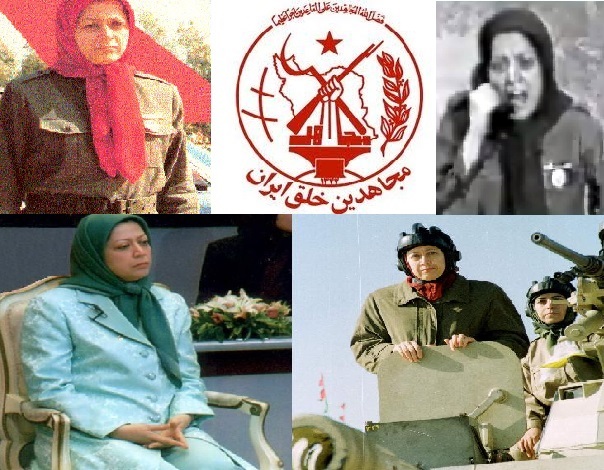 At this point, after the departure of Rajavi and Bani-Sadr from Iran to Paris, the organization entered a military phase and carried out terrorist operations. At the same time, attempts were made to track the “failure future for the regime” through operating terrorist activities inside the country, and assassinations of high ranking officials and influential Friday Imams. 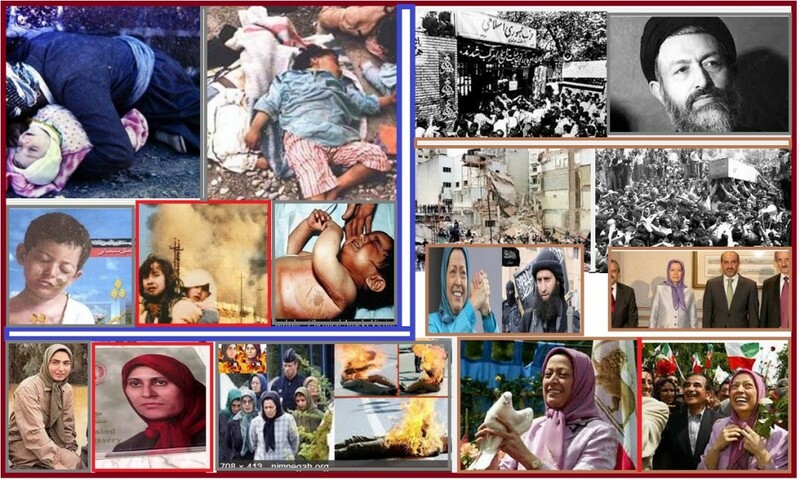 The two major terrorist operations of this group were: bombing the Iranian prime minister’s building and the simultaneous assassination of the president and the prime minister on June 26, 1981, and bombing the Islamic Republic Party of Iran on August 29, 1981, which led to the martyrdom of 72 Islamic leaders such as Dr. Beheshti, some of the representatives of the Parliament, and some of the senior judges of the Supreme Court. In addition, the terrorist operations continued to the assassination of Mohammad Kachouei, the assassination of Friday Imams in various cities (assassination of Ayatollah Madani, Dast Ghegib, Sadoughi and Ashrafi Esfahani, and etc. 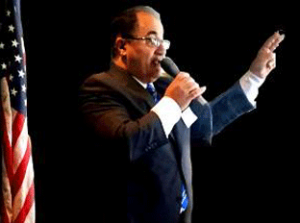 ), the assassination of Hasheminejad and Ayatollah Ali Ghodousi and so on. The organization did not end up with terror and bombing attacks. 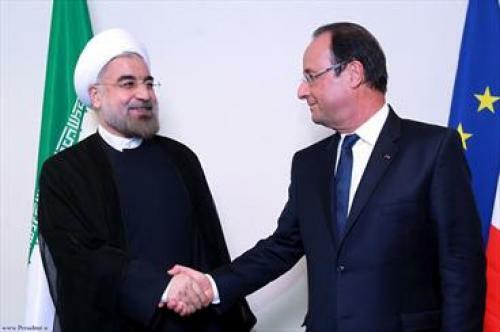 In order to introduce themselves as an alternative for the Islamic Republic system of Iran, they gathered some overseas opposition groups against the Islamic Republic to expand political propaganda against the regime, setting up the National Council of Resistance in France. Some other parties associated with the council, alongside the MKO, were: the Democratic Party of Kurdistan, the National Democratic Front of Iran, the Left United Council (Shora-ye Motahed-e Chap), the Organization of Associate Professors of Iranian Universities, Towhidi Merchants Guild, the Union of Freedom of Work, Aghameh Organization, and later, the Labor Party of Iran, the Labor Movement of Gilan and Mazandaran, and the Union of Iranian Communists (Sarbedaran). Considering the limited number of members of many of these organizations, Mujahedin-e Khalq Organization had the role of Godfather for the council. The establishment of the council has been the only democratic exercise of the MKO over the past 50 years. Since the organization’s method and policy were entirely monopolistic and dictatorial, all the political parties and groups opposing the Islamic Republic, which was attracted from all over the world, left the National Council of Resistance soon, one after another. At last, after only two years, it was just the MKO and the National Liberation Army remaining with the organization and the name “National Resistance Council” practically turned meaningless. In the 1980s, the more the terrorist activities of the MKO increased, the more reason was there for the Islamic Republic’s military and security forces to crack down on them and other political opposition and critic groups against the Islamic Republic. It was assumed that the two sides had been involved in a marathon race of killing each other. 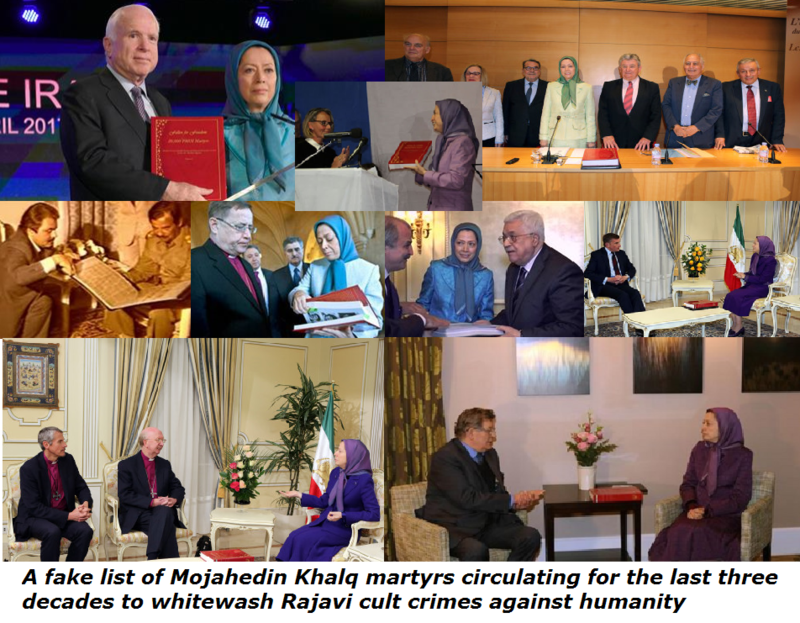 For instance, according to Masoud Rajavi’s interview with an Arab-language publication, Al-Mosawar, the number of Iranian citizens who were killed by MKO was announced as more than 6,000 people since the entry of the organization until the end of 1983. Based on the organization’s sources, this number raises to 7,000 people, including those killed in Kurdistan and the borderlines. 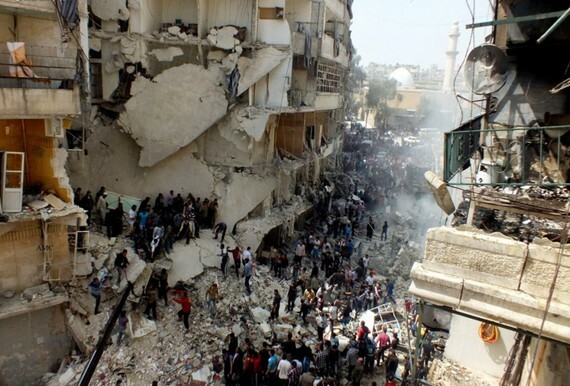 There were 1,200 attempts of operations and destructions in cities during the mentioned period. On the other hand, unofficial statistics about killing detainees and suspects, as well as in street fighting and team houses by the Islamic Republic’s security and military forces, reached over 3,000 people. 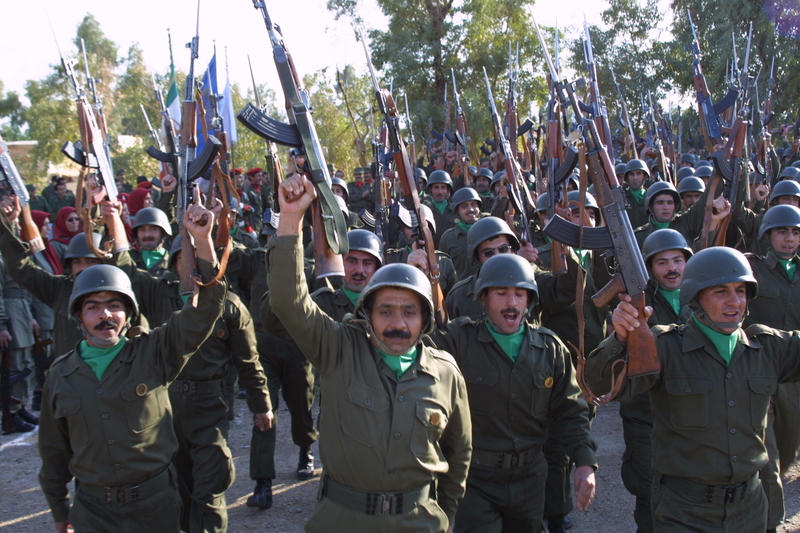 The MKO had moved to Iraq when Iran and Iraq were involved in a full-scale military battle. Due to the pressures from the French government, and the rejection of other European countries, the People’s Mujahidin Organization of Iran moved its headquarter from Paris to Baghdad in 1986. Saddam Hussein, who was involved in a war with Iran at that time, welcomed Masoud Rajavi. All members of the organization were settled down at a location 80 miles from the Iranian borders, in Diyalah province. 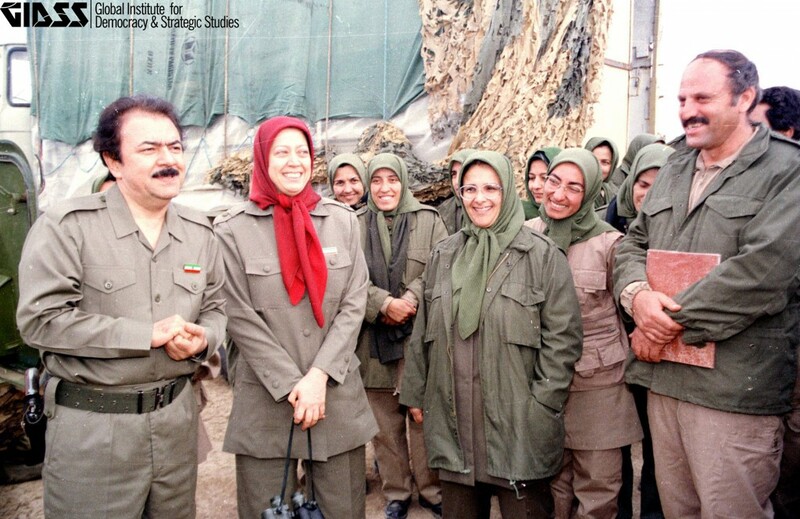 The camp was named after Ashraf Rabiei, the first wife of Masoud Rajavi, who was killed along with Moussa Khiabani, the second-authority of the organization, and more than twenty other members in an attack to the team house of the Mujahidin Organization on February 8, 1982. With the arrival of the Mujahedin to Ashraf, a complete quarantine of the members was carried out by the heads of the organization. In the videos of the MKO about life in the Ashraf Camp, the camp was introduced as a modern city campus with residential complexes, clean streets and educational facilities, with a museum, mosque, university and a graveyard. A number of members of the MKO, who left or literally “escaped” from the Ashraf Camp, talked about the pressure of the commanders on the forces. They also admitted the lack of communication with outside of the base since they entered the camp, and the fact that they had been deprived from accessing telephone, mobile, internet and media, except the organization’s television, throughout their stay at the camp. They also called exiting the camp something costly and difficult. 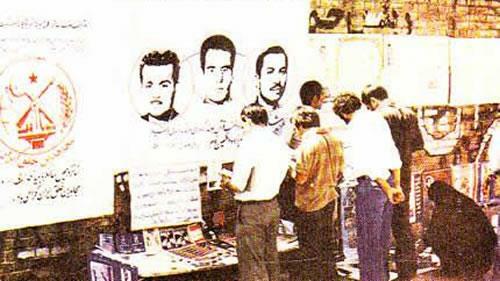 At the end of the Iran-Iraq War, after the weaknesses and subsequent defeats of the Iranian armed forces, MKO, supported by the Iraqi Army, carried out two operations called Sunshine (Aftab) and Chandelier (Chelcheraq) in early 1988, which brought them some major successes such as the seizing of Mehran city. Following the adoption of Resolution 598 by Iran, before the ceasefire was launched, the organization operated its most extensive attack called “Forough-e Javidan” against Iran. In this operation, the members of the MKO were able to quickly seize the cities of Qasr-e-Shirin, Sar Pol-e-Zahab, West Karand and West Islamabad, moving toward Kermanshah. However, before reaching Kermanshah, they encountered the Iranian forces’ attack at Charzebar Pass Camp and the Iranian Air strikes at the same time (called Mersad Operation) and were defeated. Chasing the remained forces continued for a few days. According to Iranian government sources, more than 2,500 Mujahedin were killed during the Mersad Operation. MKO announced the number of 1,300 killed. 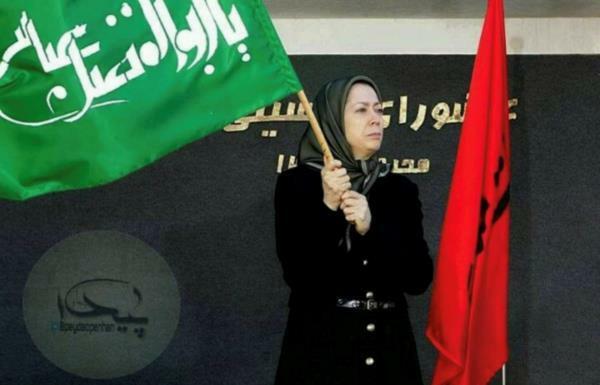 Failure of the Forough-e Javidan Operation was an end to the military operations of the “Military Liberation” affiliated to the MKO. In fact, with the implementation of the cease-fire between Iran and Iraq, under the supervision of the United Nations, on August 20, 1988, the use of Mujahedin from Iraqi territory to attack Iran was generally ruled out. One of the most controversial issues regarding the presence of the MKO in Iraq is about their involvement with the Iraqi army in suppressing the Kurdish and Shiite forces after the First Persian Gulf War, which resulted in the death sentence for Saddam Hussein and Masoud Rajavi in courts. The former president, Saddam Hussein, was executed and Masoud Rajavi disappeared. In 1991, after coalition forces invaded Iraq, Kurds and Shiites rebelled against Saddam Hussein in the north and south of Iraq, which was repressed with much intensity. According to various statistics, 100 to 200 thousand people were killed and more than 2 million people were displaced in the crackdown. Documentations and evidences about the MKO’s cooperation with Saddam’s regime in killing of Shiites have not been yet collected. For example, the prosecution of Saddam Hussein’s charges against him for the slaughter of Shiites in Dajail, occurred in 1982, was sentenced to death; however there is no evidence available that Saddam and Mujahedin collaborated with each other in other crimes against Shiites. Iraqi Supreme Court issued an arrest warrant for Maryam Rajavi and 39 members of the MKO on the charges of crimes against humanity in July 2012, but in response to this ruling, MKO called the court “under the influence of the Maliki government”, the Iraqi prime minister, and the sentence as “a gift from the Iraqi government for Iran”. During the 1980s, the People’s Mojahedin Organization of Iran attempted bombing attacks and assassinations in the streets of Tehran and other cities in Iran; however, they practically continued their activities in Paris after the death of their military leader, Moussa Khyabani, in June 1981. In 1986, after the French government’s pressure, and not being accepted by any other European country, the MKO’s headquarters was moved from Paris to Baghdad. 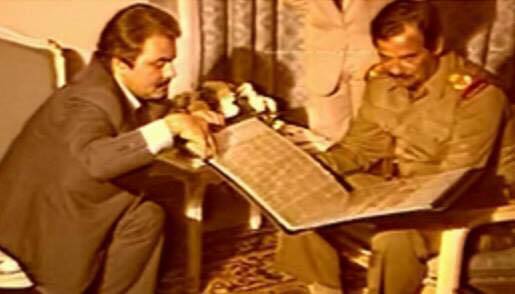 Saddam Hussein, involved in a war with Iran at that time, welcomed Masoud Rajavi and ordered all the members of the organization to be stationed in Diyalah province, 80 kilometers from the borders of Iran. 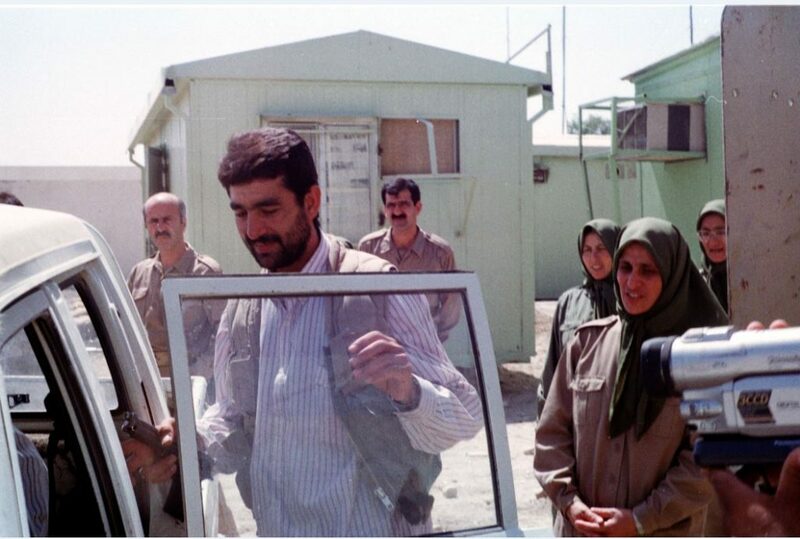 The camp was named after Ashraf Rabiei, Masoud Rajavi’s ex-wife, who was killed along with Moussa Khyabani and twenty other members of the MKO in an attack on Monday, February 8, 1982. There is not much information about the way in which the MKO was living or managing in Ashraf. Most of the current information is based on the memoirs of members separated from the organization, or limited videos released by the organization about Ashraf Camp’s living style. In the videos released by the organization, the camp is introduced as a modern city campus with residential complexes, clean streets, educational and sports facilities, a museum, mosque, university and a graveyard. 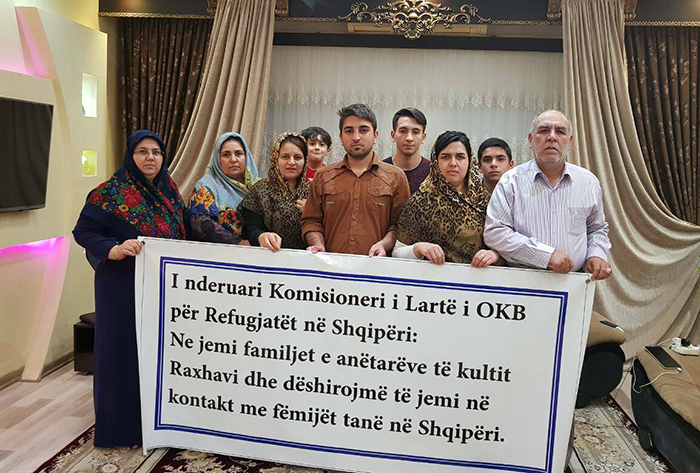 A number of former members of the MKO, who escaped from the Ashraf Camp, talked about the commanders’ pressure on the members. They also talked about the lack of communication with outside the camp and not having access to telephone, mobile, Internet and media. They announced that they were only allowed to watch the organization’s TV. Additionally, they also admitted that exiting the camp was something costly and difficult. 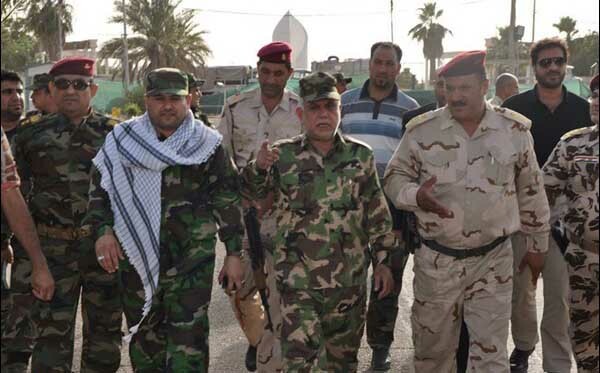 Ashraf Camp (the headquarters of the organization): About 100 kilometers from the western borders of Iran and 100 kilometers from the north of Baghdad in Diyalah province and 40 kilometers from Khalis city; the camp was handed over to the Mujahedin by the Presidential Guard of Saddam in 1986. Other camps were: Anzali Camp, Alavi Foundation Base, Habib Base, Homayoun Base, Faizah Camp, Border Base (Persian, Hanif, Saeed Mohsen) Badia Camp, Jalula Camp, Debes Camp, Zakeri Camp, Khyabani and Zabeti Camp, Khaneqin Camp, and Jordan border headquarters. More than 15 bases were also announced by the organization as the urban headquarters. During the last days of the Iran-Iraq war, after the frequent defeat of Iran’s military forces, MKO, supported by Iraq, carried out two operations in mid-1988, named Aftab and Chelcheraq, seizing Mehran. The operations were preceded by the adoption of Resolution 598 and the announcement of a ceasefire between the Iraqi and Iranian forces. 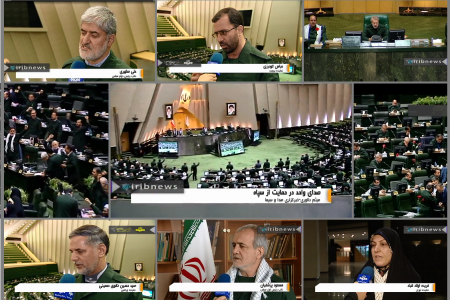 Following the adoption of Resolution 598, and prior to implementing the ceasefire, the organization launched its most extensive operation called Forough-e Javidan. MKO’s members were able to seize the cities of Ghasr-e Shirin, Sar Pol-e Zahab, West Karand and West Islamabad, moving toward Kermanshah; however, before arriving in Kermanshah and at Charzebar Camp, they were defeated as they encountered the Iranian forces’ strike, Mersad Operation, alongside the Iranian air strikes. Chasing the survived forces continued for a few days later. According to the Iranian government resources, more than 2,500 Mujahedin members were killed during the Mersad Operation. Mujahedin announced the number of 1,300 killed. The failure of the Forough-e Javidan operation was the end of the military operations of the “Liberation Army of Iran”, affiliated with MKO. Implementation of the cease-fire between Iran and Iraq, under the United Nations’ supervision on Saturday, August 20, 1988, banned Mojahedin from using Iraq to invade Iran. Prior to the Forough-e Javidan operation, Mujahedin’s leaders gathered a large number of their supporters and beneficiaries from Europe to Iraq through a massive call without any prior notification about a military attack against Iran or any military training. 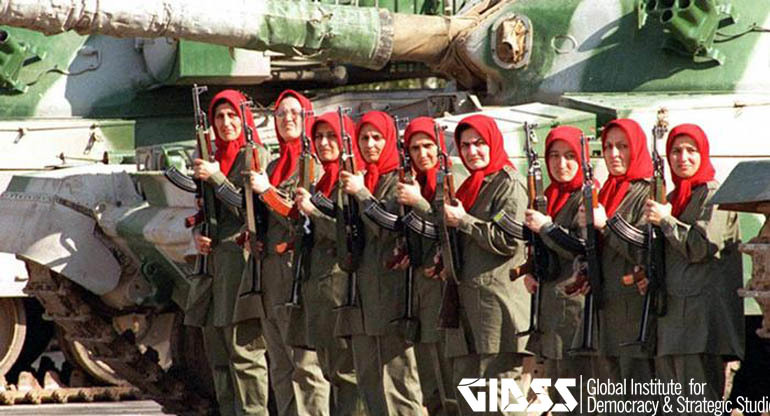 They were sent to the Forough-e Javidan Operation with minor training in using Kalashnikovs. The lack of military training, as well as the basic military equipment in a symmetric military warfare such as a tank, was the main reason for the operation’s failure. Most of the military equipment was wheeled Armored Personnel Carrier suitable for street battles and urban rebellion control. He sent his troops all over to the abattoir within the next three days and, alongside Saddam in Persian Palace, he observed his mess. He named the failure the “organization’s insurance policy”, in order to escape from his dishonor. Concealing his accusations and mistakes, after a while, when his defeated troop returned from the operation, in a general meeting with the tired and defeated troops, Rajavi described the cause of the defeat as “the forces’ unwillingly fighting in the battle, thinking about women and life issues”; he considered these thoughts as the obstacles of effective combat and victory. 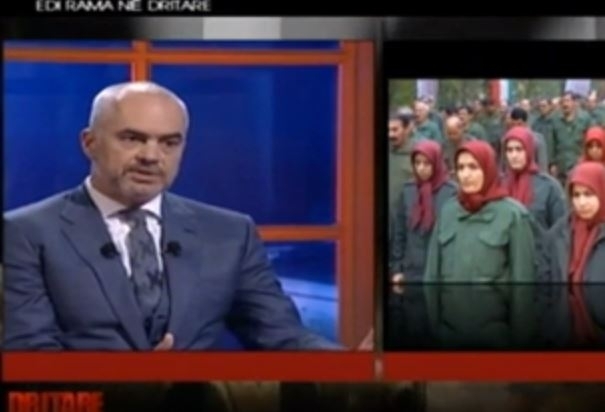 In this scenario, those who had previously been brainwashed and forced to support Rajavi’s nonsense claims spoke out (5): “Yes, at the time of fighting in Chahar Zebar, and being involved in armed conflict, much of our minds were obsessed with women, life and our family issues; we did not think of leadership and victory, getting back alive for our desires was our preference.” Thus, Rajavi condemned the poor, captured soldiers for being ineffective and useless, establishing the belief of the founders’ mentally effeteness in an unbelievable act, so that the seat of the plaintiff and the accused was simply changed and the poured out blood was simply forgotten. 1-Mehdi Baraei, commander of the First Axis and responsible for conquering Islamabad. 2. Ibrahim Zakeri, commander of the Second Axis and responsible for the seizing of Bakhtaran. 3- Mahmoud Mahdavi, commander of the Third Axis and responsible for capturing Hamedan. 4- Mehdi Eftekhari, commander of the Fourth Axis and responsible for capturing Qazvin. 5-Mahmoud Ataee and his deputy, Hussein Abraisham Chi, commanders of the Fifth Axis and responsible for seizing Tehran. In addition to the mentioned axis, Soraya Shahri was in charge of logistics; Mohammad Ali Jaberzadeh Ansari, Advertising Manager, Mohammad Seyed Al-Muhadethin, Chief Political Officer, and Shahrzad Haj Seyed Javadi, as the head of the office. On the other hand, the Islamic Republic launched the Mersad Operation and set off its troops against the Mujahedin forces. The operation lasted three days. On the first day, the goal was to block the invasion of the MKO; Air Force did not take part. At that time, the Nojheh Base was bombed, and the runway clearing operation took time; therefore, the Air Force commenced the operation with a one-day delay. On the second day, the Army’s movement was accompanied by the Air Force’s support. On the third day, Mujahedin’s units were completely destroyed. 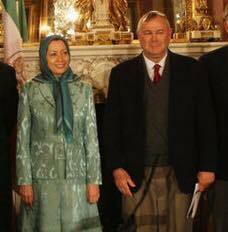 Forough-e Javidan’s failure broke the glory of Rajavi in a large number of the force’s mind and led to the collapse of the organization so that a large number of members and supporters left the organization. 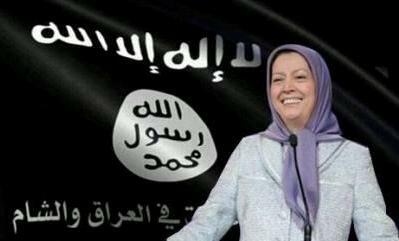 One of the consequences of the operation was questioning the organization’s strategy, as well as Rajavi’s leadership. The organization had tested various strategies and programs since its establishment, especially after the Islamic Revolution’s victory. Starting the new phase, and the formation of the Liberation Army, all the various strategies were considered to be dismissed and the only way to fight and overthrow the regime was assumed through the armed battle and the modern warfare by the Liberation Army. The organization launched the operation and was defeated based on the idea of “Peace is Iran’s executing halter and they never go for it”. The Forough-e Javidan Operation was the end of the Liberation Army’s military movements at the borders of Iran. But more importantly, something happened on the members’ spirits in Ashraf to continue the psychological operations and brainwashing of MKO’s members. As mentioned above, after the Forough-e Javidan Operation, a dispute on Rajavi’s competency started; however, Rajavi considered the dispute the main cause of the organization’s failure. Returning from the operation, anyone who looked for their spouse was immediately marked as the “accuser” and was reminded that his spouse “belonged to the leadership” and they, therefore, had no right to enquire. 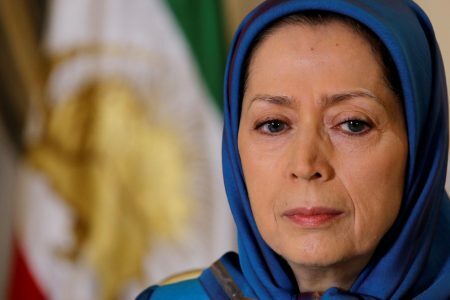 Instead of questioning the leadership, the members of the organization ought to respond to the question why they were stuck behind the “mental trap of family” and could not take Maryam Mehr-e Taban of Freedom ( a title of Maryam Qajar Azdanlou, the wife of Masoud Rajavi) to Tehran. Another consequence of the operation was the condemnation of the organization and the Forough-e Javian operation by opposition groups. 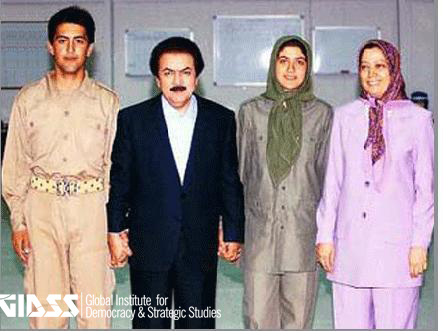 The majority of the opposition groups of the Islamic Republic, such as the Democratic Party of Kurdistan, the Left, and the Monarchists, considered the Forough Operation as a result of Rajavi’s illusions and fantasies; even the MKO was declared as the cause of unity in the Islamic Republic. The other consequence of the Forough-e Javidan Operation was the massive loss of the operation. MKO officially confirmed 1304 killed and even published their photos and biographies. From a total of 51 executive boards of the organization (headquarters), at least 33 of them were involved in the operation, and 16 of them were killed. The total damage to the organization was 50 to 60 percent, and the total damage to the headquarters was approximately 30 percent. The number was in addition to the wounded and victims who were transported back. Establishing a “transitional Islamic Democratic Republic government” in Kermanshah after seizing the citybreakthrough the repression in Iran, signing a peace treaty with Iraq, seizing of Tehran and the abolition of the Islamic Republic of Iranwere the Mujahedin’s major goals of attacking Iran. On the other hand, Iranian military commanders gained comprehensive information about the axis and objectives of the operation and the number of involved forces. MKO reacted quickly by moving the units which had light and fast moving features. The forces controlled a number of mountains and intersections between Islamabad and Kermanshah and confronted the front lines of the Mujahedin. They were able to defeat the MKO’s forces and cut off their commuting routes in several roads when they were gearing up for the operation. 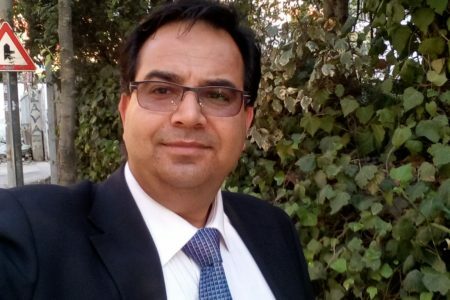 “The current strategy of the MKO and Iraq seems to be creating a free zone for Mujahedin so that the opposition organization of the Iranian regime will play a role in the final peace deal,” said Independent newspaper analyst Harvey Maurice, analyzing the goals and strategy of the MKO. 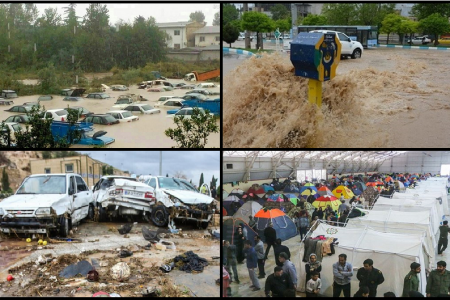 The prompt destruction of the organization with such dimensions would be impossible except under the leadership of Masoud Rajavi. The great lesson of history to the MKO and its leadership was that the outcome of implementing a misguided strategy by a leader, and his conspiring with a potential enemy of a nation, would bring nothing but disaster and extinction of the strategy. 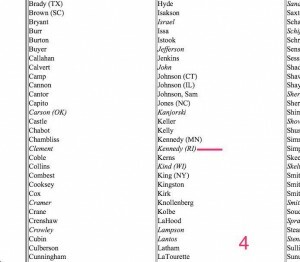 How can these lawmakers (Senator Roy Blunt, Brad Sherman, Joe Lieberman , Dana Rohrabacher, Ed Royce….) sleep at night and where is the media! 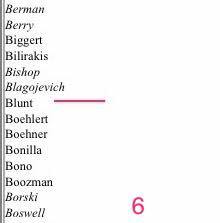 How can these lawmakers (Senator Roy Blunt, Brad Sherman, Joe Lieberman , Dana Rohrabacher, Ed Royce….) sleep at night and where is the media to expose them! 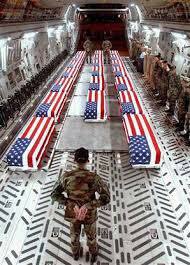 The Iraq War Resolution of 2002 was not only based on Saddam’s alleged possession of WMDs. 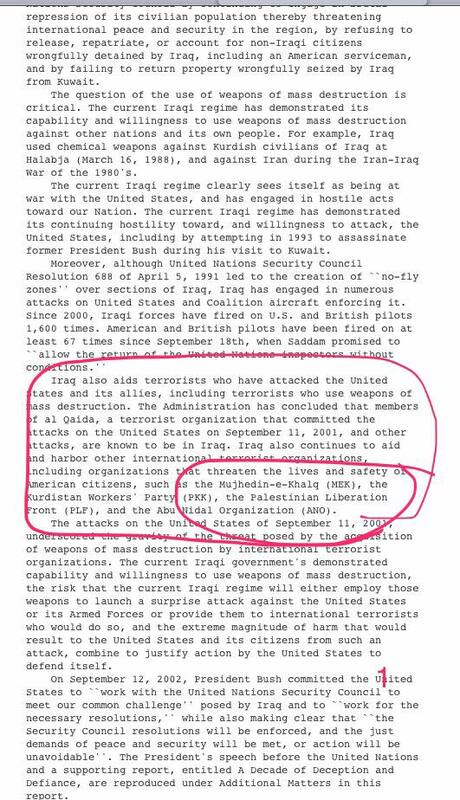 The Resolution also claimed Saddam had links to terrorism and both Congress and President Bush named People’s Mujaheddin Of Iran (MEK) then based in Iraq as proof that Saddam was harboring terror groups (see photos1-2). 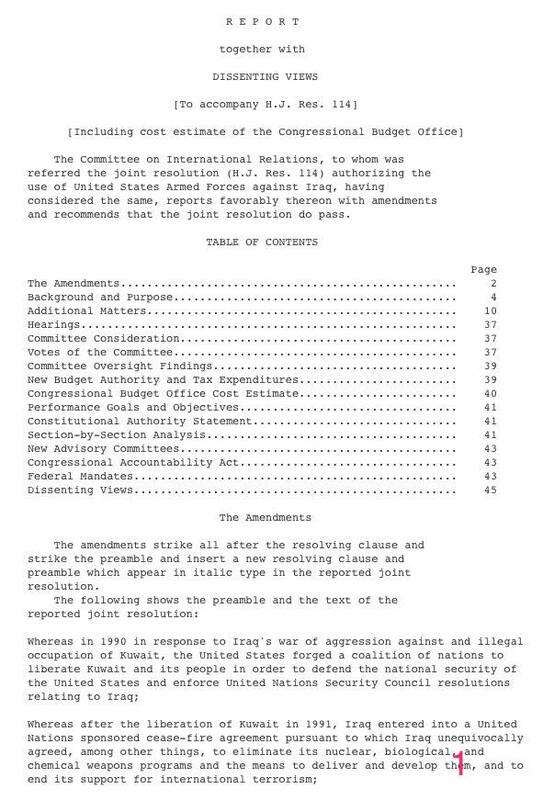 15 years later thousand of $$$ have been spent on lobbying by MEK and the same lawmakers (many now in the private sector) that voted for the Iraq Resolution (see photos 3-6) AND even “experts” that called for the vote that sent 6,000 US soldiers to their graves and over 30,000 inflicted with life long debilitating injuries are now actively promoting the same MEK as the “freedom fighters” US needs to install in Iran via regime change ! In early July, Iran’s National Resistance Council, the political wing of the opposition group Mojahedin-e Khalq (MEK), held its annual conference at the Villepinte Exhibition Center in a suburb of Paris. The conference sparked angry reactions and public criticism on Iran’s social networking sites (SNS). This anger was exacerbated by Saudi and US representation at the conference, which was seen as evidence of Saudi and American efforts to instigate political change in Iran through compromising support of a terrorist organization widely considered traitorous by Iranians. 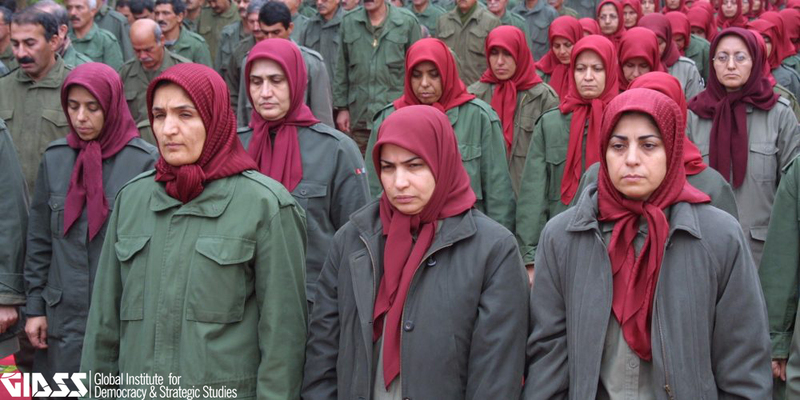 MEK’s ideology combines Shi‘ite Islam with Marxism. 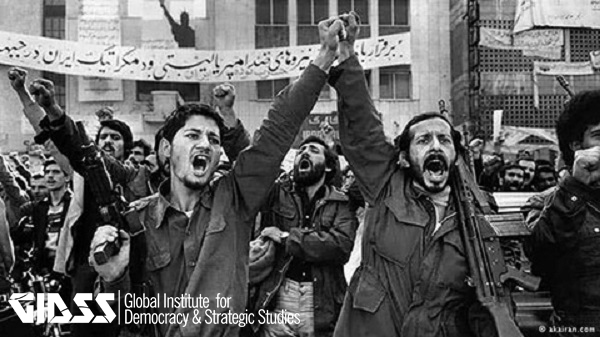 During the early 1970s, the organization emerged in opposition to the Iranian monarchy. 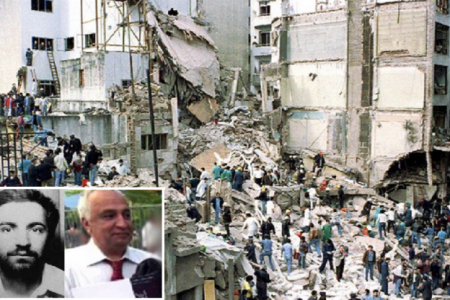 The United States and the European Union previously designated MEK as a terrorist organization due to its involvement in terrorist attacks in Iran, with several attacks against Western (including American and Israeli) targets. 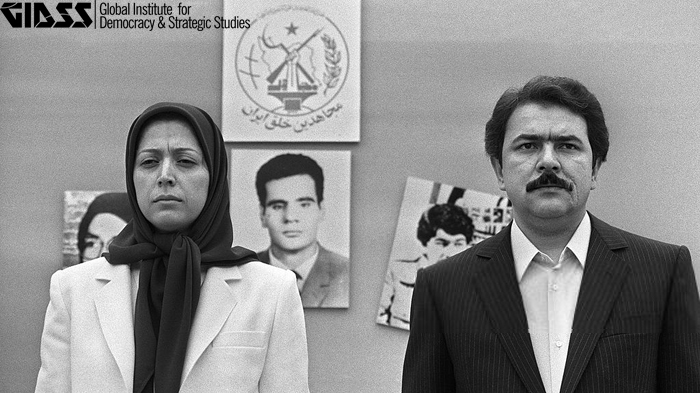 Shortly after the Islamic Revolution in 1979, MEK and the new regime fell into severe conflict, with the regime implementing strongly suppressive measures against MEK. As a result, the organization transferred most of its activities to Iraq, where it aligned itself with the Saddam Hussein regime. 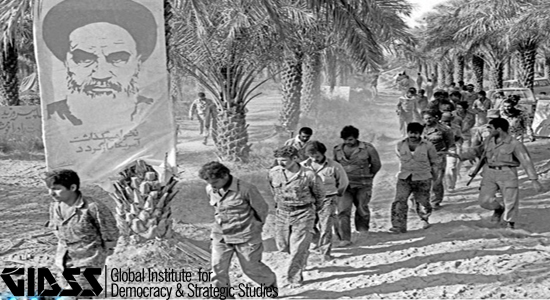 In the 1980s, during the Iran-Iraq War, MEK even participated in several Iraqi army operations against Iran. As a result, MEK was left with very little support in Iran proper, with many Iranians considering MEK activists traitors. In recent years, there has been no evidence of the organization’s involvement in terrorism. 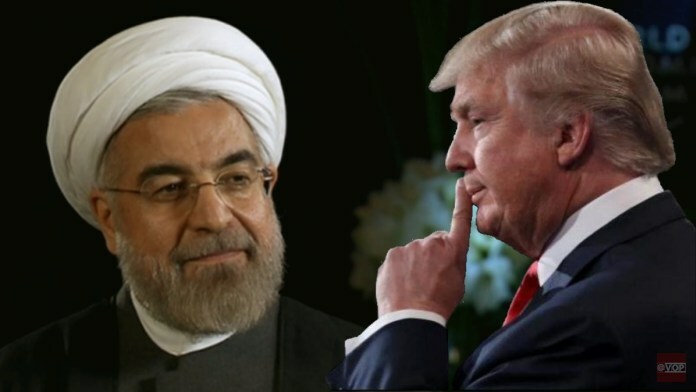 Instead, it focuses mainly on political activity in Europe and the United States aimed at enlisting support for regime change in Iran. Nonetheless, critics believe this political activity is merely a façade. 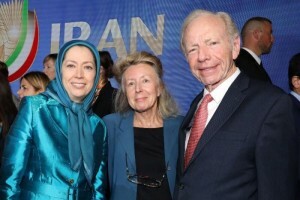 This year’s annual MEK conference was chaired by the organization’s leader, Maryam Rajavi, and attended by hundreds of participants from around the world, including Saudi Prince Turki al-Faisal, who formerly served as head of Saudi intelligence, as well as largely hawkish former US officials, including the former ambassador to the United Nations John Bolton, former US Senator Joseph Lieberman (Ind.-Conn.), and former New York Mayor Rudy Giuliani. In their speeches at the conference, these senior officials harshly criticized the Islamic republic, accused it of supporting terrorism, and called for regime change in Tehran. Predictably, the main criticism of the organization was based on its alignment with the Iraqi regime during the Iran-Iraq war. 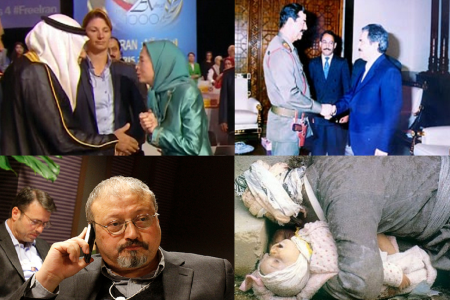 Iranian users called MEK members “betrayers of the homeland” and “traitors,” accusing them of collaborating with the Ba‘ath regime’s chemical attack on the citizens of Iran during the summer of 1987. “When Iranian women and children trembled in fear of Iraqi missiles, the MEK drank faludeh [a cold Iranian beverage],” wrote one commenter. Many users emphasized that the Iranian people would neither forget nor forgive the organization for its historic misalignment. Along with expressions of hatred towards the opposition group, users also attacked its supporters in the West and Saudi Arabia. 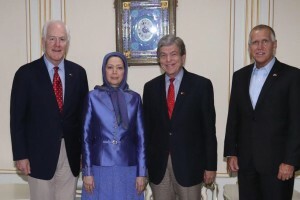 Many users compared MEK to ISIS, arguing that there was no difference between supporting the Iranian opposition group and supporting the Islamic terror organization. 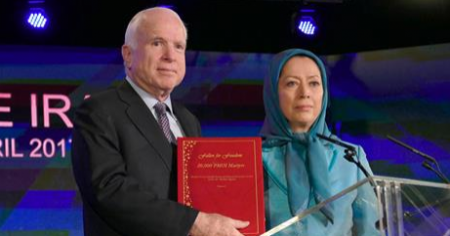 Western support for MEK, spearheaded by American politicians close to the current administration, was considered further proof of the West’s hypocrisy. Critics contended that while Western countries claim to defend democracy and human rights against terrorism, they perpetuate a terrorist organization responsible for thousands of innocent civilians’ deaths, and for serious human rights violations in internment camps it operated in Iraq. “Trump administration wants to back an Islamist terrorist cult (MEK) to bring democracy to Iran. What a sick joke,” tweeted one user. Meanwhile, Saudi support for this opposition group reignited Iranian hostility towards Saudi Arabia, which has been the target of Iranian users’ hatred and racism for the past several years of worsening relations between the countries. “Saudi Arabia supports Maryam Rajavi as leader of Iran, but within Saudi Arabia women have no right to drive!” read one tweet. 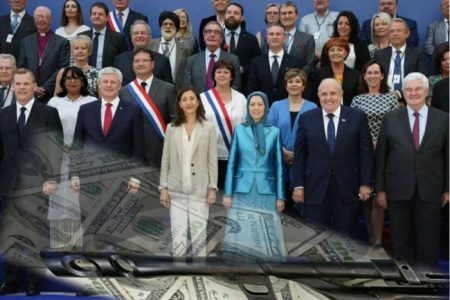 The angry reactions aroused by MEK’s conference in Paris attest to the intensity of the hostility towards the organization among Iranian citizens, including critics of the regime. Most of the Iranian public view the organization’s conduct since the Islamic revolution as a series of treacheries that climaxed with the organization’s support of the Saddam regime during the Iran-Iraq war, which remains a traumatic memory for Iranians. Therefore, Iranians consider any support for MEK to be an illegitimate offence against national pride. The Iranian public’s aversion to foreign interventions and allies of Iran’s enemies sporadically captivates SNS discourse, as exhibited by the conference’s backlash. “Iranian FM decries France green light to MKO activities,” Press TV, July 1, 2017. “Velayati Blasts France for Hosting MKO Terrorists,” Fars News Agency, July 3, 2017. 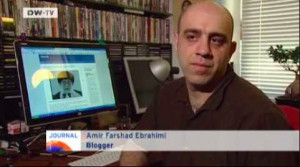 Dr. Raz Zimmt investigates Iranian social media responses to the annual conference of Mojahedin-e Khalq, an Iranian opposition group whose support for Iraq during the Iran-Iraq War remains a searing national trauma.